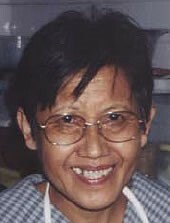 Chinese Cambodians are a group of ethnic minorities of Chinese descent living in Cambodia. 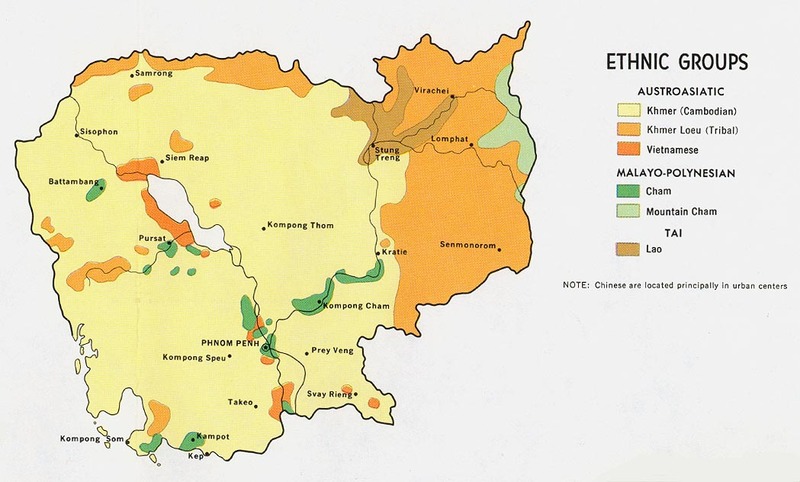 There are actually 5 different ethno-linguistic groups among Chinese Cambodians which include Teochew, Cantonese, Hokkien, Hakka and Hainanese, the majority having Teochew ethnicity. These Chinese peoples began to migrate to Cambodia as early as the 3rd century, coming in waves due to wars, political pressures and economic hardships. Over the years many of the Chinese intermarried with the Khmer and were absorbed into Khmer culture, introducing Chinese customs and beliefs into Khmer society. But there remains a community of Chinese Cambodians who speak Khmer, yet have retained the distinctiveness of their own language and culture. 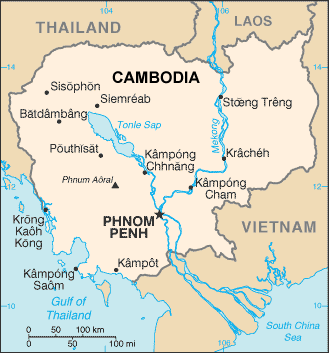 During the Democratic Kampuchea regime (1975–1979), the Khmer Rouge sought to persecute and purge the Chinese from Cambodian society. Attempting to escape extermination, many Chinese fled to neighboring Vietnam, while others tried to mix with Cambodian villagers, passing themselves off as peasants. In 1979, the Chinese returned and settled primarily in the population centers of the country, particularly Phnom Penh. Nearly all Chinese Cambodians are involved in a business of one sort or another, ranging from small family-based shops to large companies. The vast majority of Chinese own retail sales shops, having converted their homes into street-side stores or selling in small market stalls. Most Chinese do business day in and day out without taking time off for rest, working from early morning to well into the evening. However, during the Chinese New Year celebrations most Chinese will stop doing business for 3 or 4 days to celebrate with their families and travel. Chinese food, traditional medicines, decorations and religious paraphernalia are found in abundance in Phnom Penh. Chinese noodle shops and cafés cover the city and are enjoyed by Chinese and Khmer alike. Chinese Cambodians hold to traditional Chinese religious practices, ancestral worship, demon veneration and Theravada Buddhism. It is not uncommon to find an entire wall in their homes covered with altars to a pantheon of gods, as well as food sacrifices and incense burning in their shops. Even though religious beliefs are expressed in a variety of ways, the true god of the Chinese is money. It is out of fear, not love, that Chinese Cambodians serve these gods, for to not offer sacrifices and burn incense to them is to invite disaster – poverty, sickness and bad luck. Although economically more stable than average, nearly all Chinese Cambodians have not heard a clear presentation the gospel. Demonic strongholds and searching for wealth have been strong barriers, causing the good news to fall on deaf ears. Pray that God would send laborers to work specifically with these people, breaking through the spiritual, economic and linguistic barriers that have kept them isolated. View Han Chinese, Teochew in all countries.